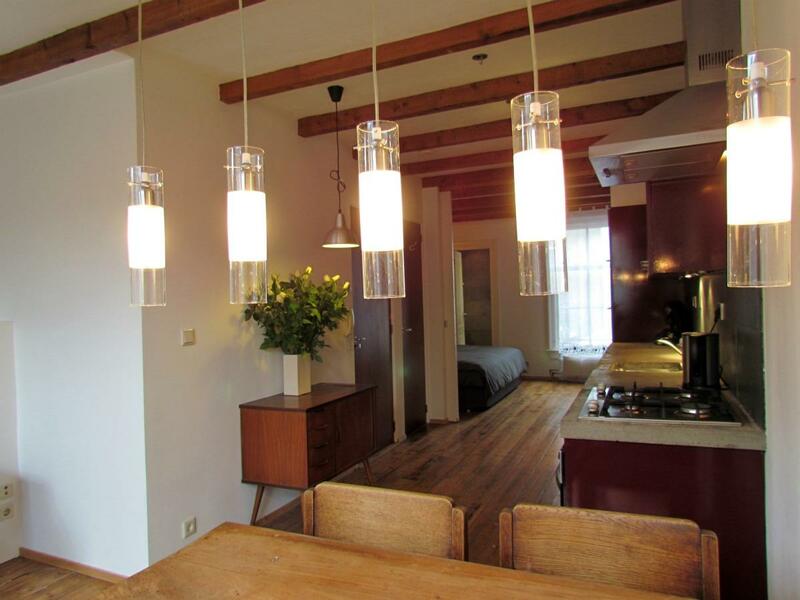 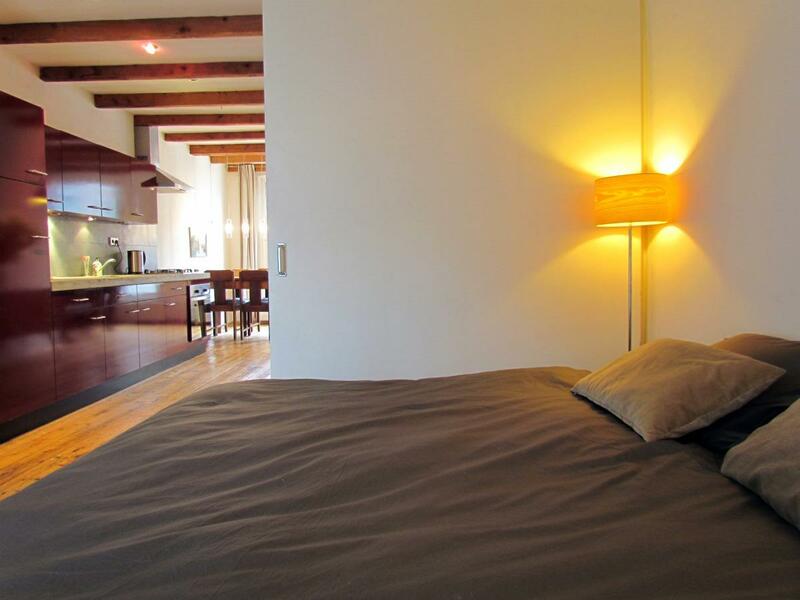 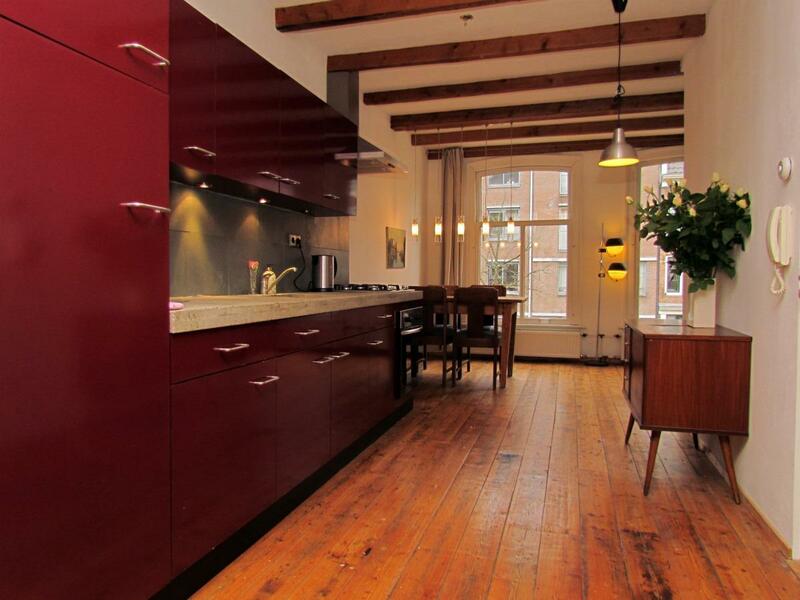 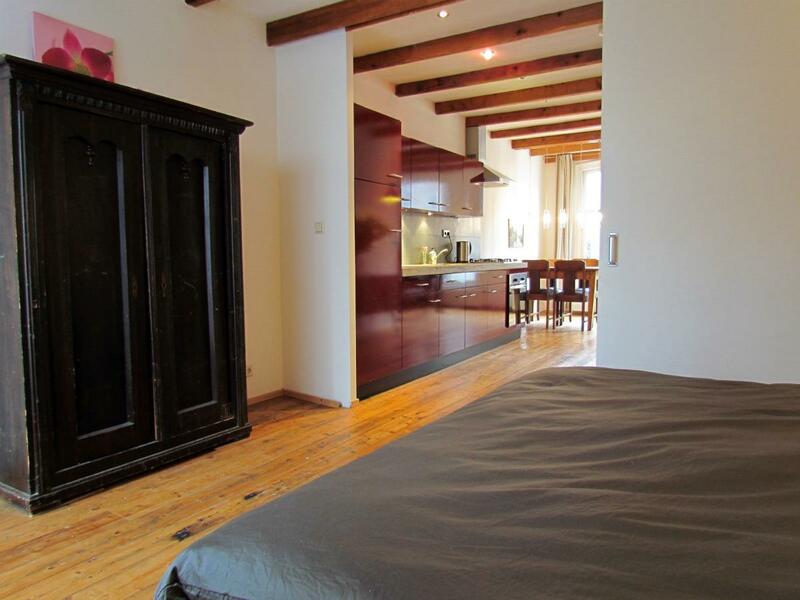 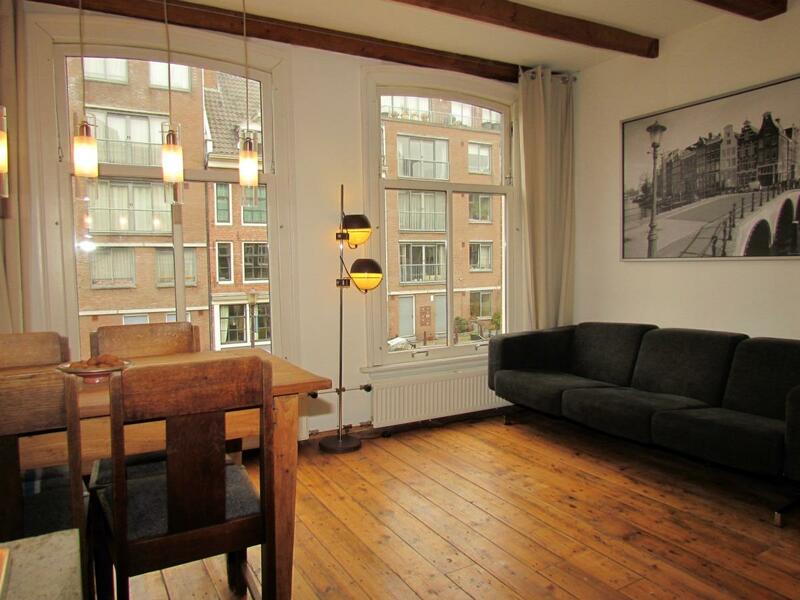 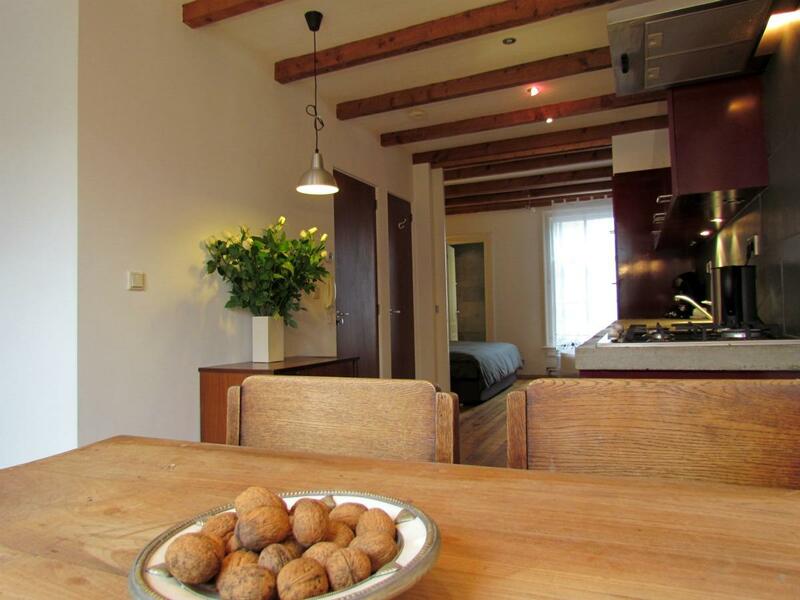 Cosy one bedroom, first-floor canal view apartment, located on a picturesque canal a short hop from Leidseplein. 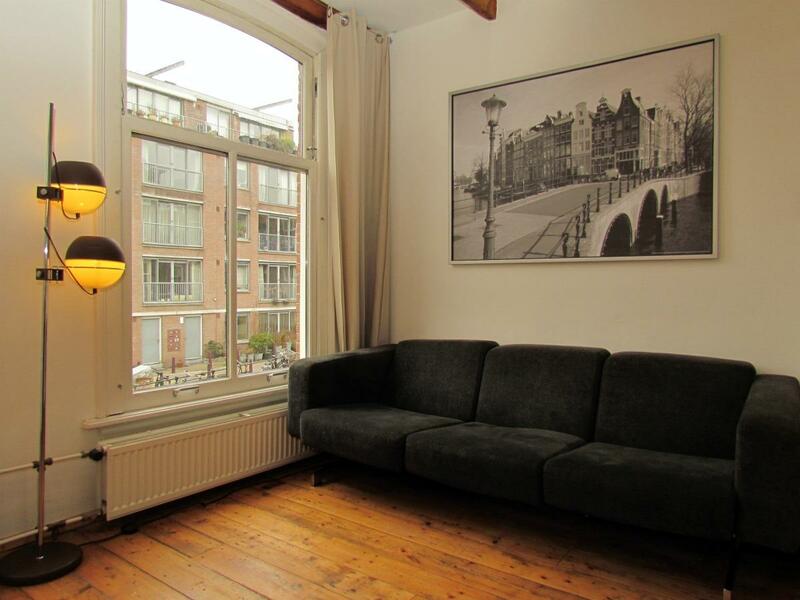 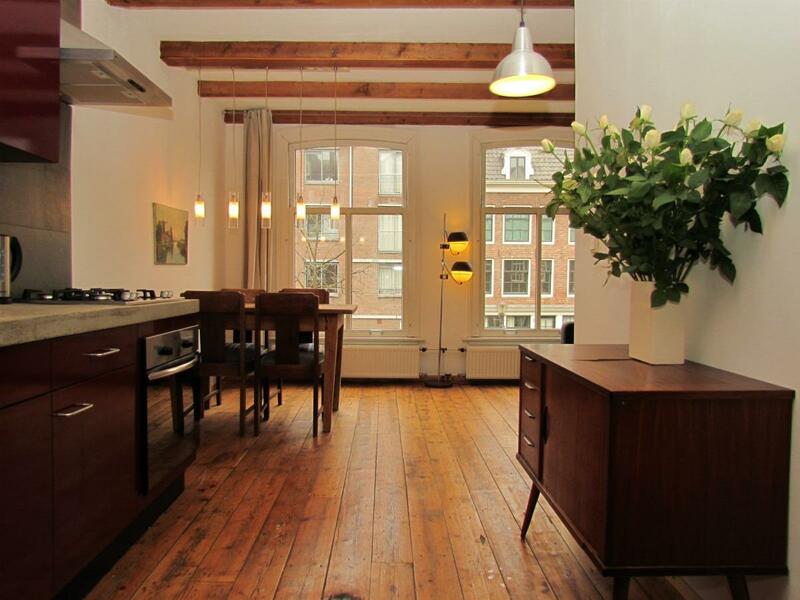 The apartment is located on a small, quiet canal off Prinsengracht, right in the city centre and a mere 5 minutes walk from the hustle and bustle of Leidseplein with its plethora of pubs and clubs. 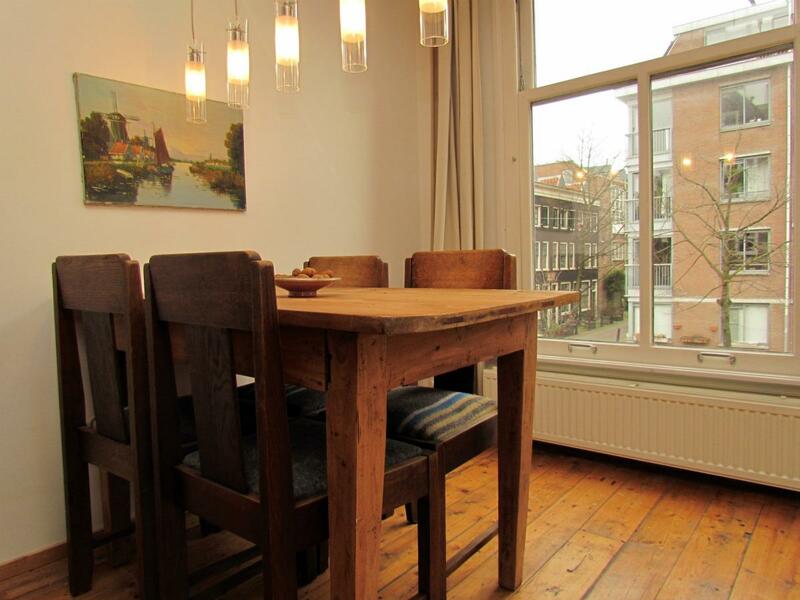 Everything you need is within walking distance; museums less than 20 minutes walk, Vondel park 10 minutes and there is public transport on your doorstep should you want to venture future afield. 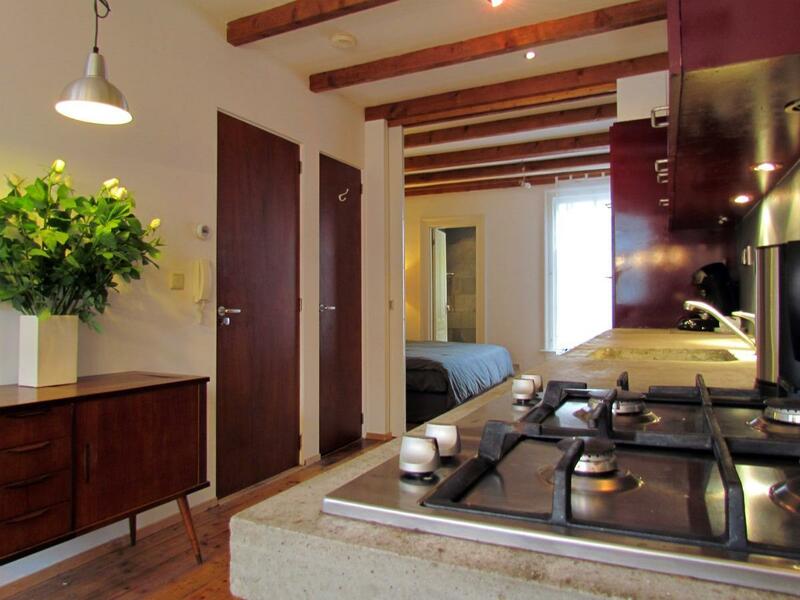 The open kitchen with beautiful stone kitchen top is fully equipped with large fridge, 4 ring cooker, oven, coffee maker and kettle, pots, pans, crockery and cutlery. 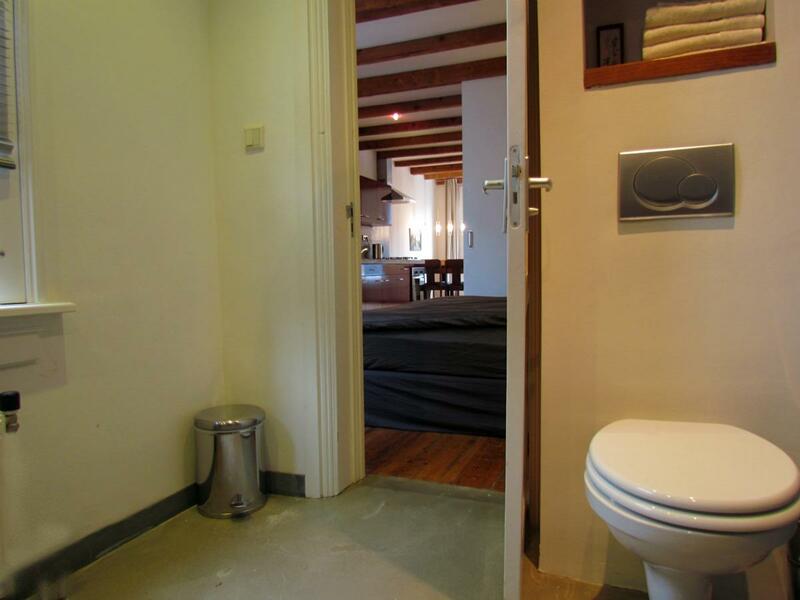 The bedroom is separated from the living area by 2 sliding doors. 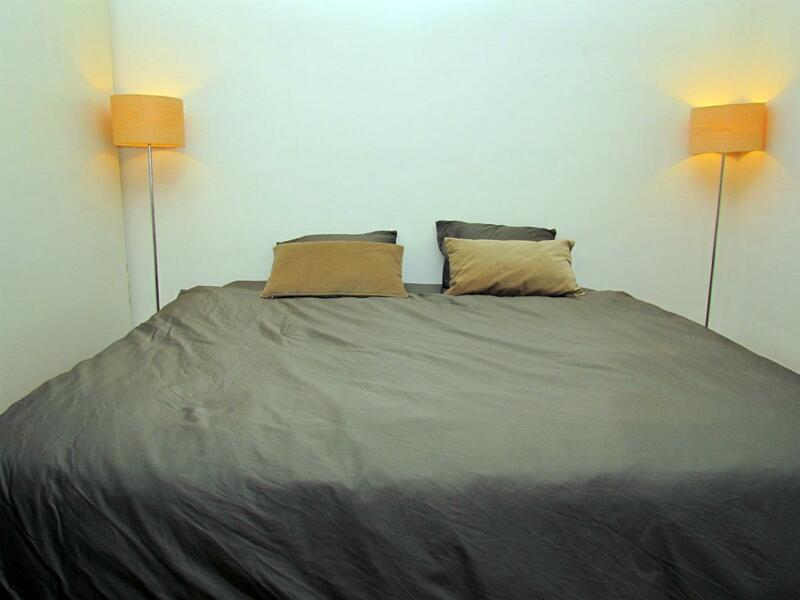 The big comfy bed is a queen size bed (180 x 200cm) and the room also has a wardrobe and a large window. 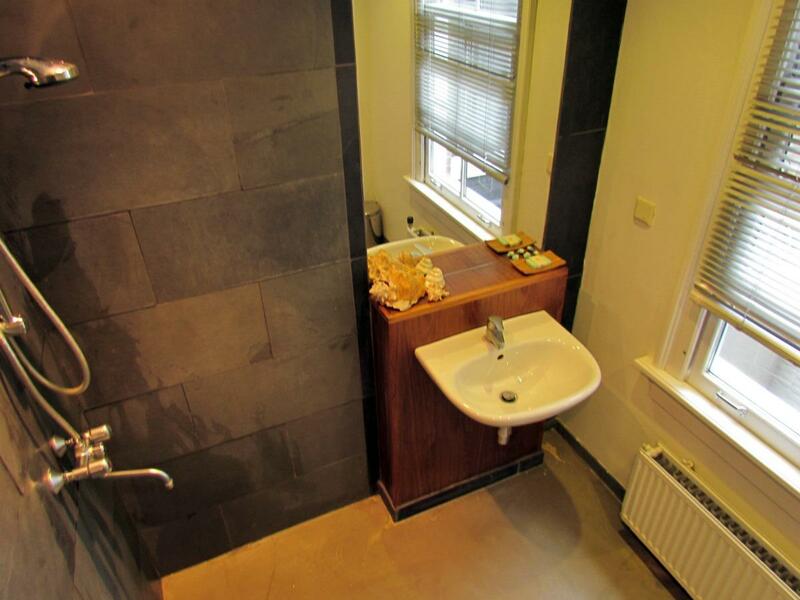 The ensuite shower room is a real dutch style wet room, with shower, sink, toilet, wash basin, radiator and large window. 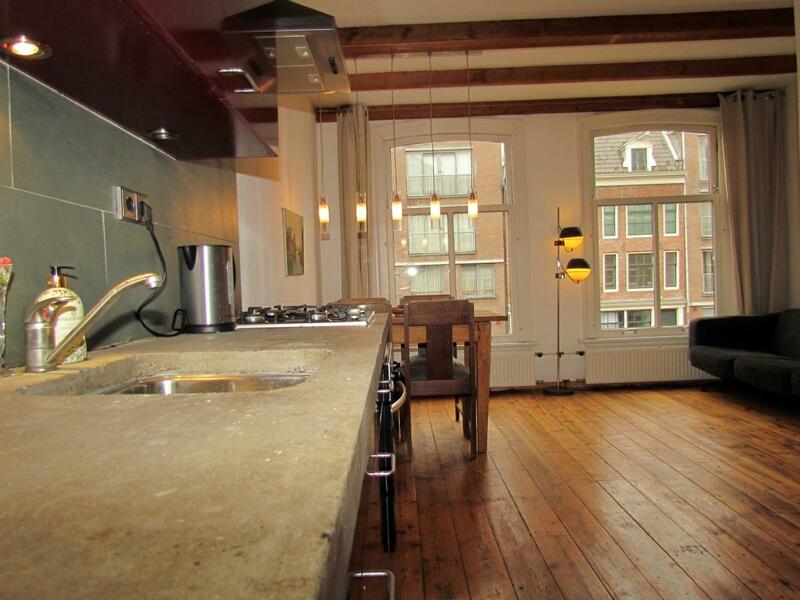 There is a sofa on which one person can sleep, but it is NOT a sofa bed Smoking Cannabis is permitted. 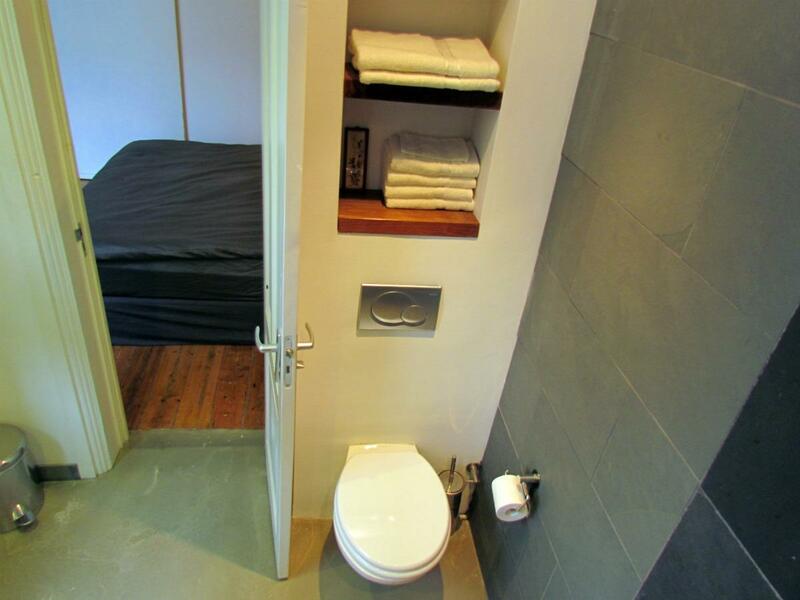 There is also a washing machine in a small utility cupboard, WiFi internet and a hairdryer. 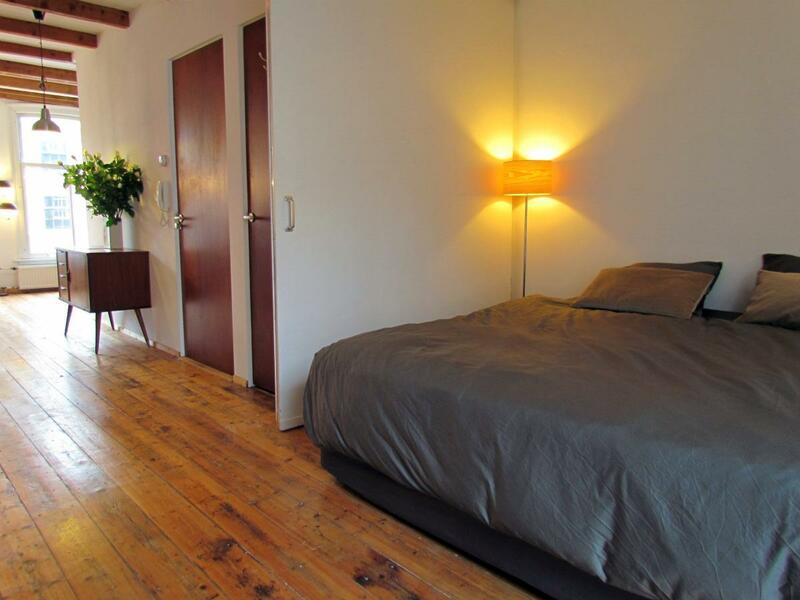 Late check-in is possible as your host lives in the building.